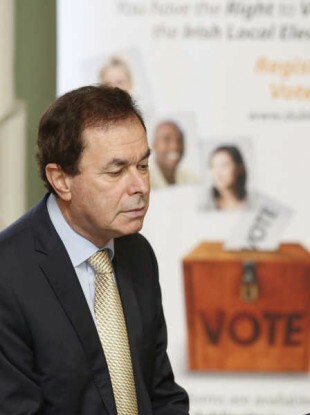 Poll: Should Alan Shatter be fired? Justice Minister Alan Shatter faced strong criticism yesterday with Mary Lou McDonald suggesting he get the boot. What do you think? YESTERDAY ALAN SHATTER sacked the garda confidential recipient Oliver Connolly. But today we’re asking you if Shatter himself should get the boot himself? Sinn Fein’s Mary Lou McDonald told the Taoiseach to relieve Minister Shatter of his duties in the Dáil yesterday, so do you agree with her or do you think the Justice Minister is doing his best? He was grilled by TDs and Senators yesterday over the GSOC surveillance controversy to which he said “my only interest is that we get the truth”. So over to you…Should Alan Shatter be fired? Email “Poll: Should Alan Shatter be fired?”. Feedback on “Poll: Should Alan Shatter be fired?”.